I know I have said I can't tell you what works for storage because a lot depends on how your mind organizes information and in reality what works for me might not work for you. I am a I must see to know I have it kind of gal. But having everything in the open is not practical. So this is the solution that shockingly works for me. I can see it when I need to see it but it is not always out in the open. 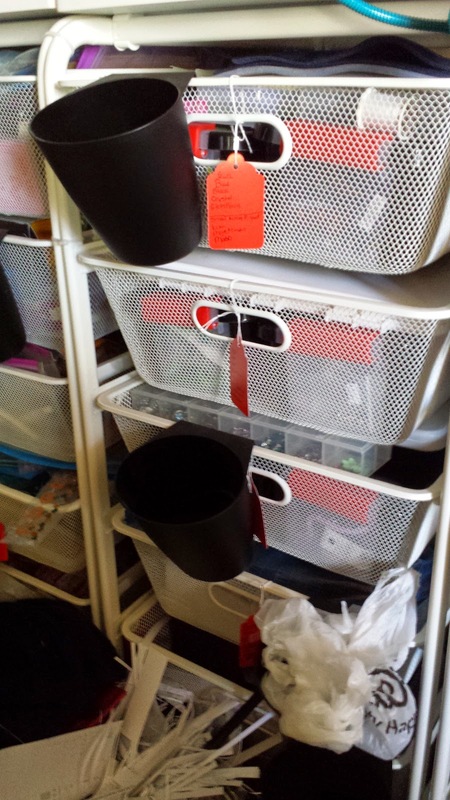 I use an Ikea storage system (a surprise I know) This system comes with 2 basket sizes the one you see and then a deeper one. The deeper one while it holds more stuff takes twice the slots as these single ones. I do use both. 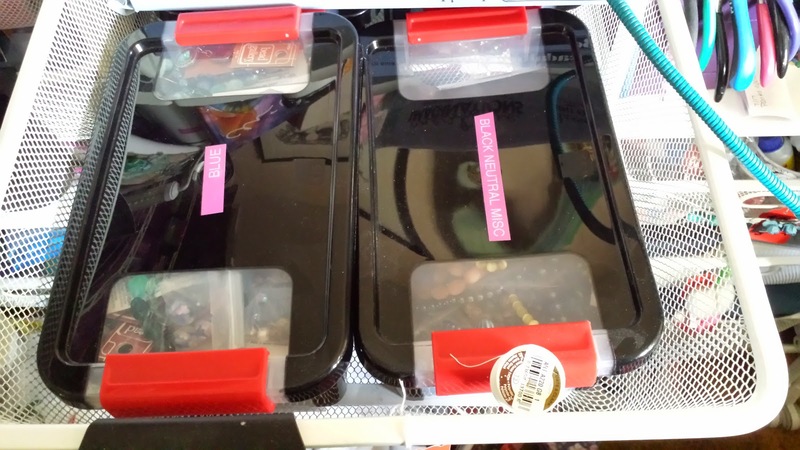 My bead containers will fit 4 in a bin with room on top to store things like bead boards and mats. 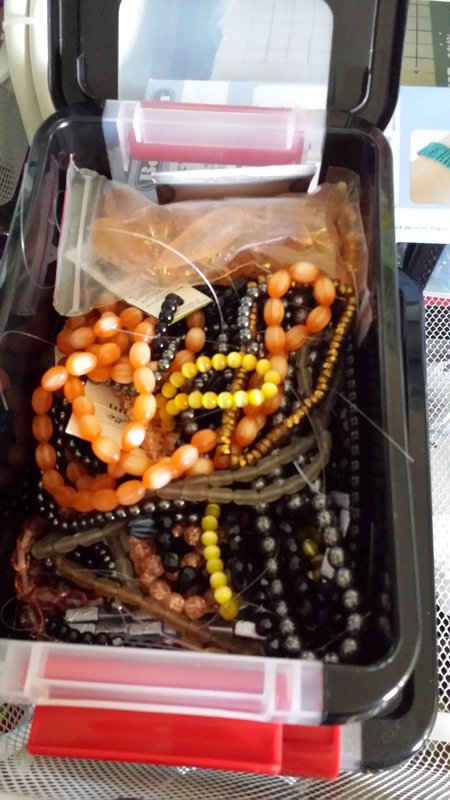 The black bins on the front are where I can put beads in when I am done so I don't have to keep going into the drawer. I also put new purchases in there. I put everything away either at the end of the day or once a week. The red tags are what is in the bin. 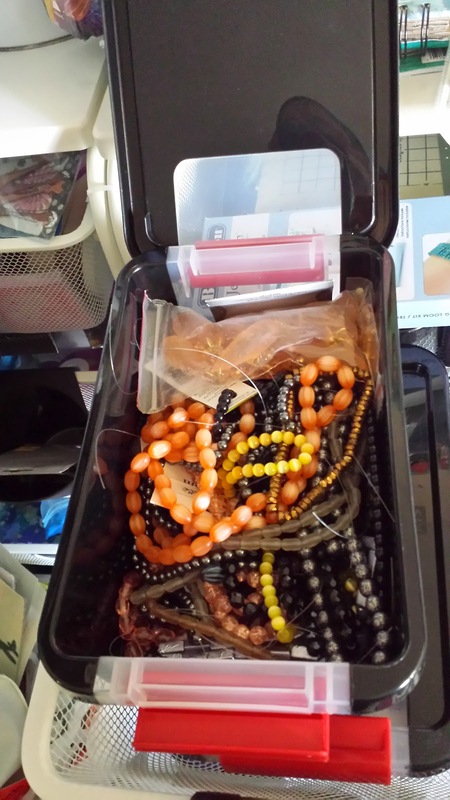 These are the bins I store my beads in. I string loose beads on fishing line and they are done by color family or material. It depends-my glass pearls are in 1 box all mixed up because mentally I know that is where my pearls are. What is great about these boxes is you can undo one side and the lid flips open rather than having to take the lid off. We sell them at Michaels in pink and teal. 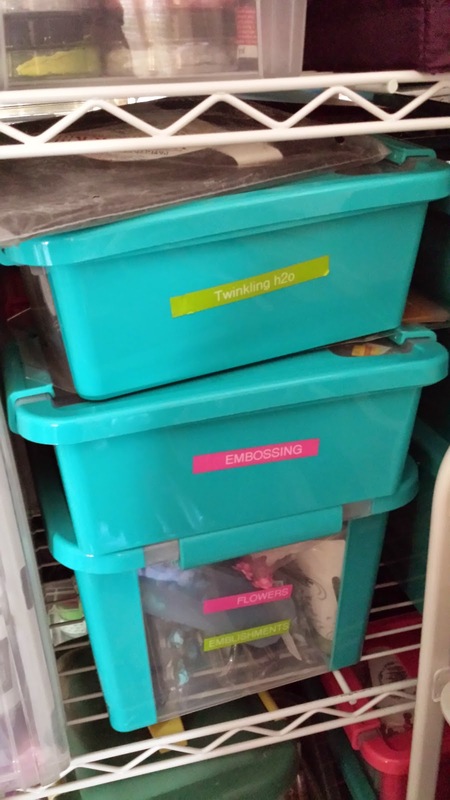 I use pink and teal for my paper stuff which I keep on a 5 shelf wire shelf unit that is on wheels. So I can pull it in and out. One thing I have done- I have labeled all the boxes using a labeling machine. The labels can be peeled off and moved it needed-which I have had to do with the shelf unit. To know what is on each self (they are packed) I have a list of what is on each shelf moving left to right front to back.